Part masterclass / part performance: Funny, fierce, deep and accessible, Women of Will is the bonus content to Shakespeare’s plays that you have been searching for. 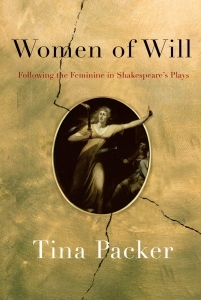 Join master Shakespearean actor/dramaturg, Tina Packer as she deconstructs and conjures William Shakespeare’s most famous female characters. Ace actor Nigel Gore plays the Romeo to Ms. Packer’s Juliet, the Petruchio to her Kate. Women of Will – The book!